Browse the internet. Raise money for charity. Want a new way to improve the lives of children across the globe? Just do what you’re probably doing right now: browsing the internet. The Australian branch of the United Nations Children’s Fund (UNICEF) just launched The HopePage. Open the site in your browser, and it’ll use your computer’s processing power to mine the cryptocurrency monero. Any mined coin is automatically donated to UNICEF Australia, which spends it on clean water, food, and vaccines for vulnerable children. 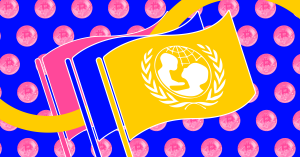 This isn’t the first time UNICEF has dabbled in crypto mining to raise funds. In February, the organization launched its Game Chaingers project, which sought to raise funds for children in Syria by targeting computer gamers. Game Chaingers fell short of its fundraising goal, but it also required users to download mining software. The HopePage requires users to do even less, thanks to Coinhive’s AuthedMine tool. This is a version of the same mining tool that landed Coinhive in hot water back in October because sites were using it without visitors’ permission, but this tool solves the problem by allowing to opt in. Other organizations are turning to crypto mining to bankroll their humanitarian efforts. In October, creative developer/designer Mike Bodge built Donate Your Tab, a site that lets users choose a cause from a dropdown menu and then mine monero to support it. A number of other sites, including The Charity Mine, Mining For Humanity, and Mining for Charity, seem to have started to mine crypto for charity, only to eventually abandon it. Whenever an internet user comes across a site that mines crypto for charity, it can be hard to tell whether or not that particular site is up to anything sketchy. Indeed, the crypto world has no shortage of scams; it’s proven to be a great place for bad actors to prey upon people’s good intentions for their own benefit. In January, Reddit users busted a fake charity supposedly collecting crypto donations to feed starving Venezuelans; back in 2016, scammers pocketed bitcoin donations intended for the victims of the Pulse nightclub shooting in Orlando. People actively donated crypto to those “charities,” and scammers might assume its even easier to dupe people into donating via a more passive mining operation. But UNICEF is a real organization with a solid reputation, so The HopePage is probably the real deal. If the organization is able to raise funds through this project, perhaps other legitimate charity organizations will follow suit. That’s good news all around. Who wouldn’t want to make the world a better place while admiring cute animal photos on the internet? Answer: no one.